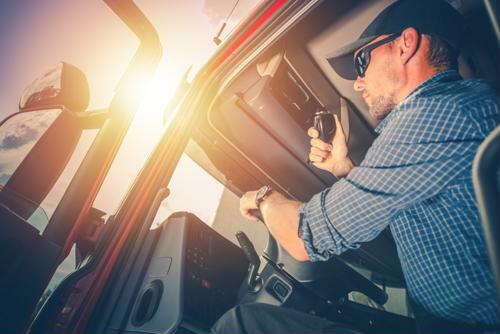 While people in just about every profession will occasionally struggle with mental health issues, making it important for all industries to make treatment and maintenance easier to achieve, truckers may have it worse than others. There are many hurdles that are unique to the trucking world, which both drivers and employers in the sector need to be aware of and work to address. For instance, one particularly common issue for professional drivers is they often spend days or even weeks at a time in relative solitude behind the wheel, and certainly sleeping somewhere other than their own bed at home, according to Business Insider. Loneliness is, consequently, a frequent complaint of even the most seasoned and experienced long-haul truckers, and can make it difficult to stay in touch with friends and family. Moreover, it's worth noting that when mental health becomes a problem, physical health often worsens, the report said. A lack of strong personal relationships leads to greater risk of heart disease, stroke, dementia, and other illnesses. "People that have 9 to 5 jobs take a lot of things for granted," longtime trucker Gary Artz told Business Insider. "They're home at night, find out what the day events were. They're home to go to the kids' school functions, baseball games, football games, cheerleading, dance recitals - all them things like that that they take for granted and get to see." With that lack of contact in mind, experts say one way drivers can feel as though they're not only maintaining strong connections, but building new ones, is by getting involved in truckers' support groups online, according to Fleet Owner. There, even in anonymity, they can share their concerns with the people who are most likely to understand and sympathize. There are entire Facebook communities dedicated to this particular aspect of the profession, with thousands of members offering support not just for drivers, but family members and loved ones as well, the report said. Sherry Dallas - who runs a Facebook page called "Truckers For Truckers (Fight Against Depression And Suicide)" with 3,200 members - says she sees plenty of posts not just about severe mental health issues, but also encouragement and frank discussions of some of the challenges common to the field. Meanwhile, many pro drivers say they've found bringing pets on the road helps ease loneliness, as can utilizing newer technology like video chatting with family and friends at the end of a long day, according to Smart Trucking. It's also a good idea to make sure to engage in some daily grooming; while a shower might not always be feasible, simply changing clothes every day and freshening up can do wonders for one's mental health. When companies and drivers can have a frank discussion about the ways in which they can collectively address driver mental health, everyone in the industry may end up being better off. Happier, healthier drivers are not only more likely to stick around in their jobs for potentially years to come, even as the driver shortage continues.